How to Transfer your Files Easily From One PC to Other? Buying a new windows PC with an upgraded version can be fun and exciting. But this excitement can completely stop down once you realise that you have all your important photos and other relevant documents in your old PC. Now transferring this one by one or using transfer software can be daunting and time consuming. Now here starts the exciting part. 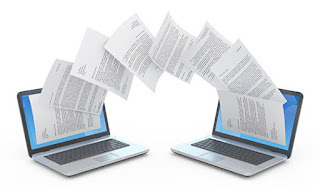 It is time for you to start checking on various options that can help you with transferring your important documents from old PC to the new one. Few options that you can choose to transfer files are by making use of external hard drive or USB cable, transferring your complete set of documents to cloud storage or making use of transfer software. Making use of an external hard disk - The USB flash drive or an external hard disk can help you in transferring documents from your old PC to new one. This is pretty easy and requires only an additional external cable that is compatible with both your PC’s. Make use of cloud storage – This is simple and can be used through your existing mail account. Move all your files to the cloud storage and boom your documents are there in your personal storage space. You can now download all these documents to your new PC using the same mail account. Use RealPopUp - Just like Dropbox or Google drive, Realpopup is file transfer application that will help you in easy transfer of files from one PC to another. The advantage of Realpopup is that it does not require any kind of internet connectivity to transfer files and makes it really easy for file transfer. You can install Realpopup software to your PC with minimal efforts on your own and does not require any additional helping hand. With the above few tips, you do not need to worry about transferring your documents or important files from your old PC; transfer it instantly with minimal efforts with any of the above mentioned devices coming to your aid.